Now that you have identified your product, you’re wondering how to transport it or where to store it? Don’t worry! With trailers and trolleys for our Personal Watercrafts, we’ve got you covered! The C-TUG Kayak & Canoe Cart is made in Napier, New Zealand. It is great value for money, and will give many years of service in the sand, salt and sun of the harshest marine environments. Wholly constructed from UV resistant, non-corroding engineering plastics and stainless steel, it will carry up to 120kg (300lbs) and comes with puncture-free, hi grip wheels, you’ll never get a flat tyre, and don’t need to carry a pump. 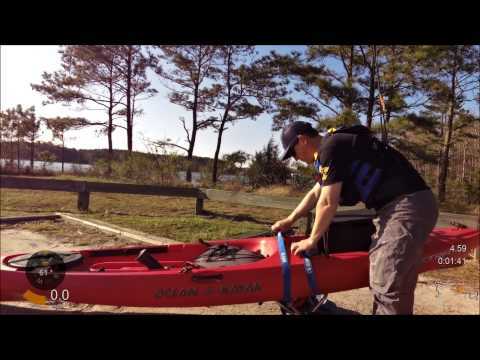 Featuring tool-free assembly, our rugged and unique design means you can assemble it in under a minute, move your boat from your kayak rack to the water, then pull it apart and stow it inside your kayak or canoe while you’re out on the water.